The next time you pay your utility bill, try one simple calculation. Divide the total amount by seven. The result is the amount you spend to heat your water. (If you receive separate utility bills for gas and electricity, use the gas bill for this calculation if you have a gas water heater; use the electric bill if you have an electric water heater.) Of course, you may think this cost is a small price to pay for the convenience of a hot shower. But during the course of a year, this cost adds up. And when you consider that 95 million households in this country pay the same percentage, it is easy to see how much money--and energy--is used to heat water. Several measures can help you decrease water-heating costs in your home. Some specific actions include reducing the amount of hot water used, making your water-heating system more energy efficient, and using off-peak power to heat water. Install aerating, low-flow faucets and showerheads. Repair leaky faucets promptly; a leaky faucet wastes gallons of water in a short period of time. Lower the thermostat on your water heater; water heaters sometimes come from the factory with high temperature settings, but a setting of 120°F provides comfortable hot water for most uses. Insulate your electric hot-water storage tank, but be careful not to cover the thermostat. Follow the manufacturer's recommendations. 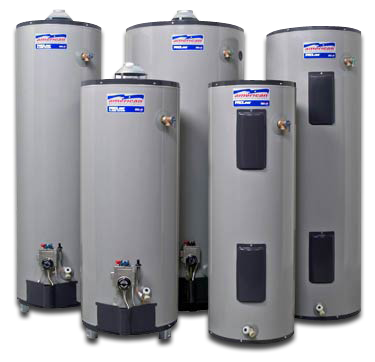 Insulate your natural gas or oil hot-water storage tank, but be careful not to cover the water heater's top, bottom, thermostat, or burner compartment. Follow the manufacturer's recommendations; when in doubt, get professional help. Insulate the first 6 feet of the hot and cold water pipes connected to the water heater. If you are in the market for a new dishwasher or clothes washer, consider buying an efficient, water-saving ENERGY STAR model to reduce hot water use. Install heat traps on the hot and cold pipes at the water heater to prevent heat loss. Some new water heaters have built-in heat traps. Although most water heaters last 10–15 years, it's best to start shopping now for a new one if yours is more than 7 years old. Doing some research before your heater fails will enable you to select one that most appropriately meets your needs. Other actions may require a small investment of time and money. Installing low-flow showerheads and faucet aerators can save significant amounts of hot water. Low-flow showerheads can reduce hot-water consumption for bathing by 30%, yet still provide a strong, invigorating spray. Faucet aerators, when applied in commercial and multifamily buildings where water is constantly circulated, can also reduce water-heating energy consumption. Older showerheads deliver 4 to 5 gallons (15.1 to 18.9 liters) of water per minute. However, the Energy Policy Act of 1992 sets maximum water flow rates at 2.5 gallons (9.5 liters) per minute at a standard residential water pressure of 80 pounds per square inch (552 kilopascals). A quick test can help you determine if your shower is a good candidate for a showerhead replacement. Turn on the shower to the normal pressure you use, hold a bucket that has been marked in gallon increments under the spray, and time how many seconds it takes to fill the bucket to the 1-gallon (3.8-liter) mark. If it takes less than 20 seconds, you could benefit from a low-flow showerhead. A top-quality, low-flow showerhead will cost $10 to $20 and pay for itself in energy saved within 4 months. Lower quality showerheads may simply restrict water flow, which often results in poor performance. Buy a new energy-efficient water heater. While it may cost more initially than a standard water heater, the energy savings will continue during the lifetime of the appliance. Look for the ENERGY STAR and EnergyGuide labels. Look for the ENERGY STAR label on efficient water heaters in the following categories: high efficiency gas non-condensing, gas condensing, electric heat pump, gas tankless, and solar. Consider installing a drain water waste heat recovery system. A recent DOE study showed energy savings of 25% to about 30% for water heating using such a system. Consider natural gas on-demand or tankless water heaters. Researchers have found savings can be up to 30% compared with a standard natural gas storage tank water heater. Heat pump water heaters can be very cost-effective in some areas.